Threatened bus services covering areas including Midhurst, Chichester and Harting have been saved. The county council has arranged for the 54 from Petersfield to Chichester, and the 91, 92 and 93 from Petersfield to Midhurst to be operated by Stagecoach South from April 16. Changes to the 54 will see the first and last journeys of the day reduced to only run between South Harting and Chichester. 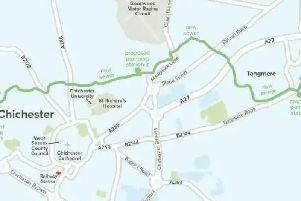 Residents will still be able to travel in the morning on the 91 between Petersfield and South Harting and change to the 54. The 91, 92 and 93 timetable will be largely unchanged. Bob Lanzer, cabinet member for highways and infrastructure, said: “We understand the importance of these bus services for local residents, especially those living in small rural villages, to get to work, shopping, schools and colleges. “Our decision to continue to support these services is the result of both a public consultation and liaising with stakeholders. Previous operators the Emsworth and District Bus Company also stopped other services, including the 28 from Southbourne to Havant, and other school services, including to Bishop Luffa.